As part of the ongoing work of the Enterprise Architecture Practice at Plymouth University we regularly review business requirements and University strategy and aim to align the direction of IT strategic investment to meet these needs. Simple eh? I completed the last round of this analysis in December 2015, and in the spirit of wishing to share as much of our EA work as possible, the diagram below shows what we have done, where we are and what we need to do next. 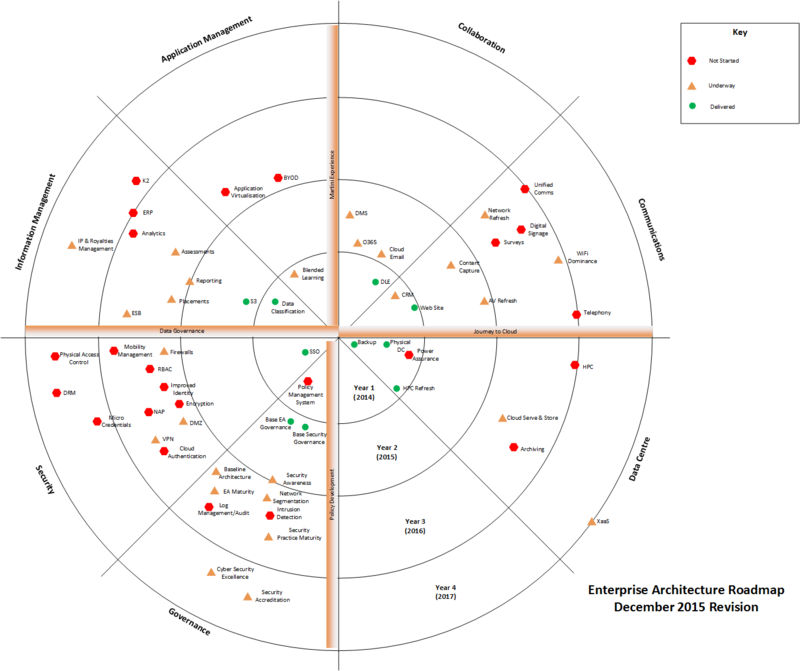 In effect this is the Plymouth University Enterprise Architecture Priorities Map.